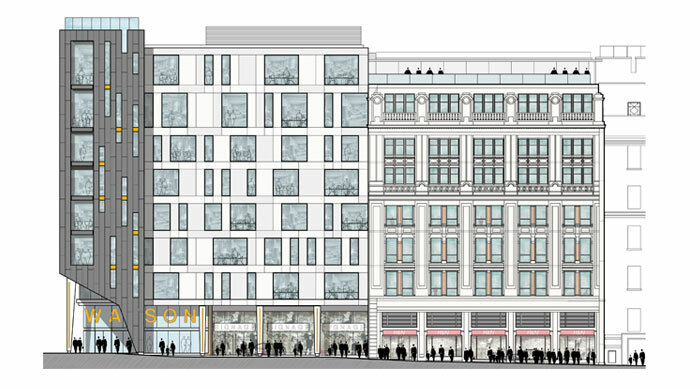 In 2012, developers submitted plans to redevelop the Watson building, a Grade II listed building, on Renshaw Street in the heart of Liverpool city centre. As with all developments, substantial funds were required to do this. In April 2014, the Chrysalis Fund approved a £5.6 million loan toward the £16.5 million redevelopment of the Watson building. The loan was provided to a syndicate of investors organised under the national Business Premises Renovation Allowance scheme, who are now redeveloping the vacant building, bringing it back to life and back into economic use. On completion, the building will be known as Watson House and will provide circa 80,000 sq ft of high quality, flexible and well-connected Grade A office space, built to BREEAM ‘Very Good’ standard. Watson House adjoins the former Lewis’s department store which is also undergoing extensive refurbishment works to provide leisure and retail space, an Adagio Aparthotel and office accommodation as part of the wider Central Village masterplan, which has secured high profile tenants including Odeon Cinema and Frankie and Benny’s. So it’s a key part of the continuing regeneration of Liverpool city centre. The Chrysalis Fund aims to invest where the market has limited capacity or appetite and in a way that attracts other sources of finance to invest. Projects like Watson House would not be possible without financial support from funds such as Chrysalis. Nevertheless, its close proximity to Lime Street Station, connection to the exciting Central Village regeneration scheme and flexible, striking space underlines its credentials to become a commercial success. A property conference heard from Chrysalis Fund investment managers about the need for public funding to jump-start commercial projects in Merseyside. Mark Bousfield and Iain Jenkinson were speaking at a recent PlaceEXPO event which was sponsored by the fund – ‘City Region Investment Strategies’. Held at No 4 St Paul’s Square in Liverpool, PlaceEXPO has been running as part of the International Festival for Business and has featured a number of high profile property events covering a range of topics. It finishes on July 17th. The Chrysalis Fund will be co-sponsoring and speaking at the City Region Investment Strategies PlaceEXPO event on Tuesday 17th June. Speakers from The Chrysalis Fund will join Manchester and Liverpool councils and the Evergreen urban development fund to present updates on their spending plans at the event. Among those confirmed to take part so far include Chrysalis fund managers, Iain Jenkinson, senior director at GVA and Mark Bousfield, investment manager at Igloo. Sean Davies, head of finance – commercial and public sector reform from Manchester City Council will also speak, along with Andrew Antoniades, director, CBRE capital advisors, investment advisory, as well as Duncan Sutherland, non-executive board member for HS2 and Jenny Douglas, head of inward investment at Liverpool Vision. City Region Investment Strategies is a free event taking place on the afternoon of Tuesday 17th June, starting at 2pm, at No 4 St Paul’s Square, Liverpool. The event is aimed at people interested in development funding models, public sector intervention, city region strategic investment frameworks and master planning. There will be a mixture of presentations from the expert line-up of speakers and questions from the floor. PlaceEXPO is the property pavilion at the UK’s International Festival for Business (IFB), which will take place from Thursday 5th June until Thursday 17th July at No 4 St Paul’s Square in Liverpool. The EXPO will showcase the very best in UK property, construction and regeneration skills and investment opportunities. On Thursday April 10th, the Deputy Prime Minister Nick Clegg visited a number of Regional Growth Fund (RGF) projects including Knowsley manufacturer Tratos. Tratos received a £3.5m loan from the Chrysalis Fund back in December and secured an additional RGF Round 4 investment of nearly £3m following this. 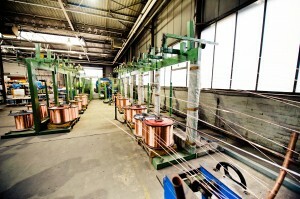 The combined funding is going towards supporting the redevelopment and expansion of the production facilities for the Italian cable manufacturer with 100,000 sq ft of new and refurbished manufacturing capacity. On his visit to Merseyside, the Deputy Prime Minister announced that funding from Round 5 of the RGF is expected to unlock £1.9 billion of additional private sector investment and create or safeguard thousands of jobs, while also generating thousands of jobs in the supply chains. Commenting on the announcement, Iain Jenkinson of the Chrysalis Fund said: “This announcement highlights a real success story whereby several ‘pots’ of public money have been combined to leverage private equity and secure a major inward investment and jobs boost for the region. The Chrysalis Fund is managed by the Igloo Consortium, which is made up of Igloo Regeneration Limited, GVA and RBC Capital Markets and operates in partnership with the Liverpool City Region LEP and the local authorities. The initiative is backed by the European Investment Bank, the Homes and Communities Agency (HCA) and European Regional Development Fund under the JESSICA (Joint European Support for Sustainable Investment in City Areas) programme. As work commenced on site at the £66 million exhibition centre and hotel in Liverpool today, the Chrysalis Fund announced that it has provided a loan of £8 million towards the exhibition centre element of the project. This is the third deal for the Chrysalis Fund, which has now agreed loans in excess of £16 million for commercial and industrial property projects throughout the Liverpool City Region. The Exhibition Centre Liverpool will be capable of hosting large conferences, trade and consumer exhibitions and sports and cultural events on a national and international scale. The new complex, which will also include a four-star hotel, will form part of ACC Liverpool, home to BT Convention Centre and Echo Arena. It will feature an 8,100 sq m, three-hall exhibition centre which will connect to ACC Liverpool by a pedestrian link bridge, making the venue one of the only purpose-built interconnected arena, convention and exhibition centres in Europe. The exhibition centre is expected to open for business in summer 2015. 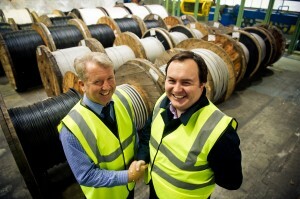 The Chrysalis Fund has committed £3.5 million to enable the redevelopment and expansion of a production facility for an Italian cable manufacturer in Knowsley, helping to create more than 100 jobs in the process. 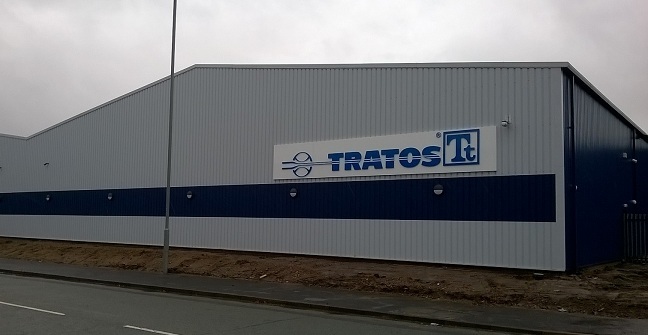 Tratos UK already operates from Knowsley, supplying mainly low voltage cables to the power distribution industry. Its intention is to expand into medium voltage cables as well as cables for the off-shore wind industry and for the UK’s expanding railway network. The Chrysalis loan of up to £3.5 million will help the company to acquire an additional adjacent site for its expansion. The funding will also support the redevelopment and expansion of the production facilities on site. Overall, the project will deliver over 100,000 sq ft of new and refurbished manufacturing capacity. The Chrysalis Fund has approved a £4.8 million investment toward the redevelopment of the Grade II listed Watson House on Renshaw Street in Liverpool city centre. The Chrysalis Fund was set up to support economic regeneration in the city region. The initiative is backed by the European Investment Bank and European Regional Development Fund under the JESSICA (Joint European Support for Sustainable Investment in City Areas) programme. The Fund is managed by the Igloo Consortium, which is made up of Igloo Regeneration Limited, GVA and RBC Capital Markets and operates in partnership with the Liverpool City Region LEP and the Local Authorities. The £4.8m investment will be provided to a syndicate of investors organised under the national Business Premises Renovation Allowance scheme. The syndicate will redevelop the vacant Watson House, bringing it back to life and back into economic use, to comprise circa 80,000 sq ft of new Grade A office accommodation, built to BREEAM ‘Very Good’ standard. Watson House adjoins the former Lewis’s department store which is currently undergoing extensive refurbishment works to provide leisure and retail space, a boutique hotel and office accommodation as part of the wider Central Village masterplan, which has secured high profile tenants including Odeon Cinema and Frankie and Benny’s. Jim Gill, chair of the Chrysalis Fund, said: “Chrysalis aims to invest where the market currently has no capacity or appetite and in a way that attracts other sources of finance and to invest. Projects like Watson House would not be brought forward if it wasn’t for the ability of this Fund to invest in this way. Mayor of Liverpool, Joe Anderson, said: “This is great news for Liverpool, and another fantastic example of how we are unlocking vital funds to bring our historic buildings back into use. The North West European Regional Development Fund (ERDF) team has issued a call for Capital Investment projects under Priorities 3 and 4 of its investment framework. Combined, the £9.8m available is towards the development of new buildings, offices or business units often in areas that have been identified as key sites for construction, as well as projects which contribute to creating a sustainable transport infrastructure. 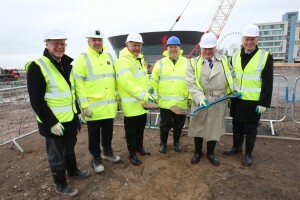 Alan Welby, LEP Executive Director, said: “This call is great news for the region not only does it address development constraints paving the way for local developers to free up stalled projects but will ultimately help create jobs in the area. “Allocations will be made with local partners and Department for Communities and Local Government (DCLG) in line with the City Regions strategic goal to accelerate economic growth across the region.